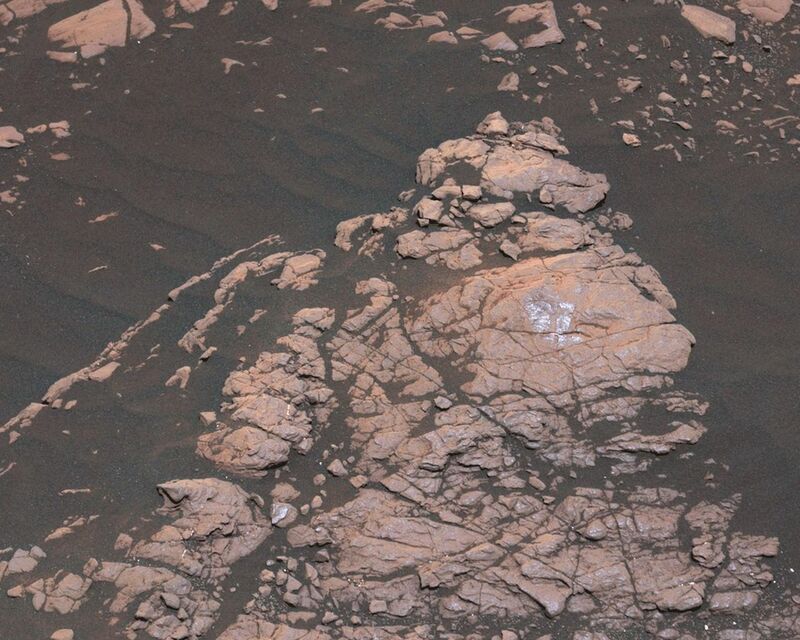 The Mast Camera, or Mastcam, on NASA's Curiosity Mars rover captured this set of images before and after it drilled a rock nicknamed "Aberlady," on Saturday, April 6, 2019 (the 2,370th Martian day, or sol, of the mission). 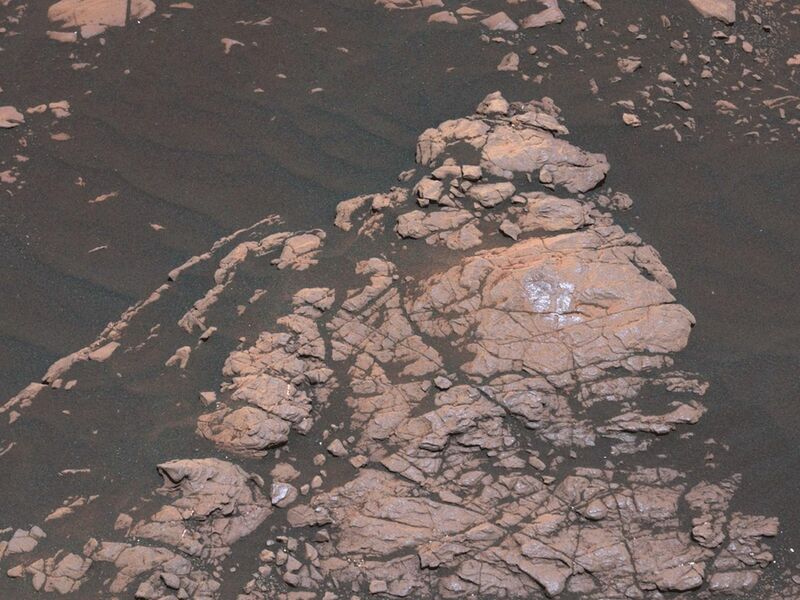 The rock and others nearby appear to have moved when the drill was retracted. 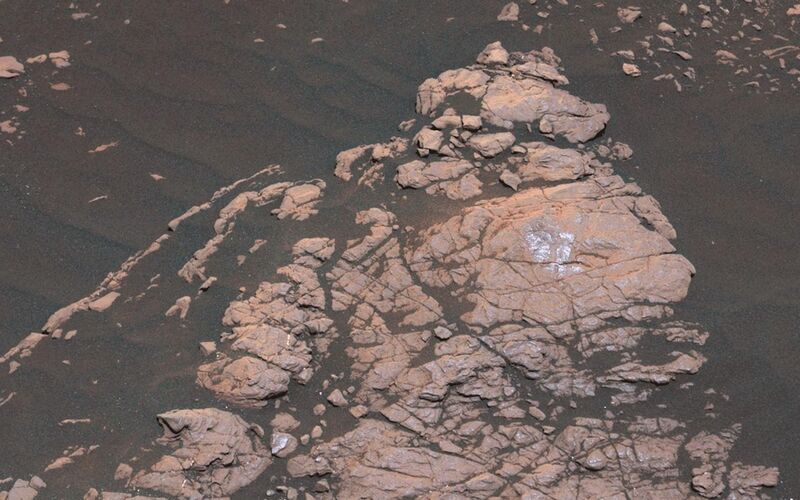 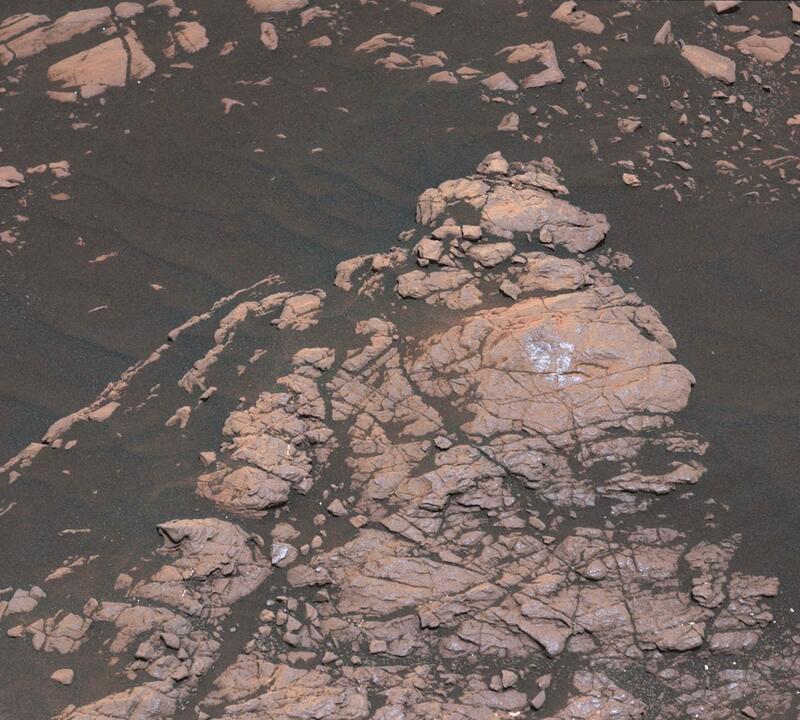 This was the first time Curiosity has drilled in the long-awaited "clay-bearing unit."